Attention all you harsh winter workers! These are the pants you have been dreaming of! They keep you warm, yet you can still move and be comfortable. 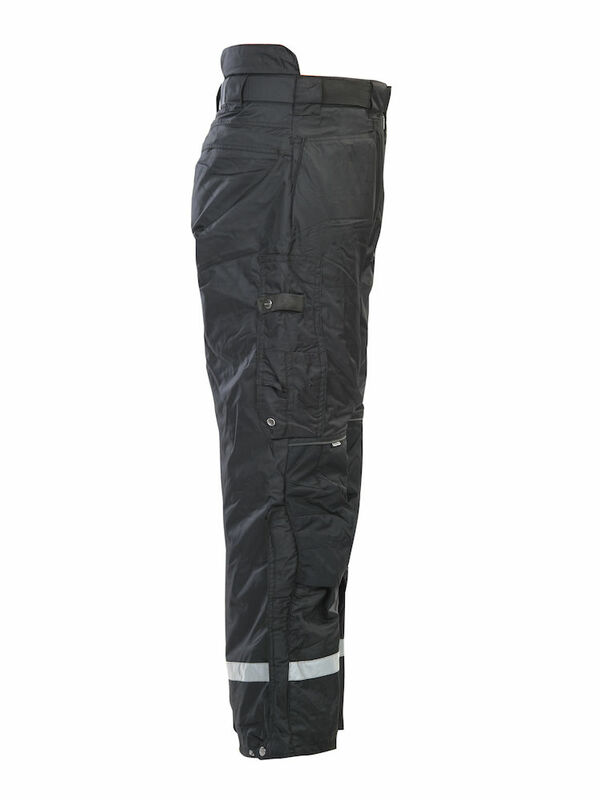 These pants are made for extreme conditions. 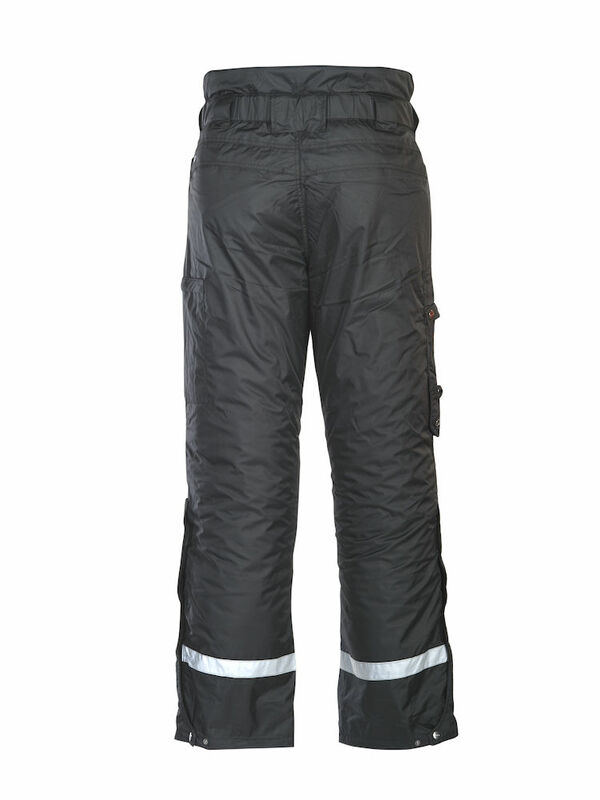 Quilted trousers in wind and water resistant material yet breathable. 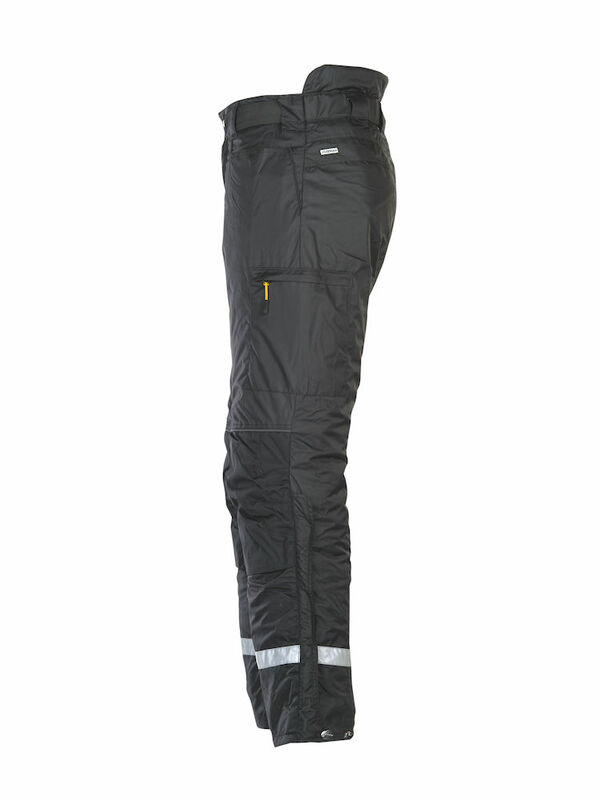 Articulated knees with external kneepad pockets. Front pockets and back pockets. leg and folding pocket knife tray. Dark reflections that are visible when needed. Zipper up to knee facilitates getting into these pants. Inside powder skirt in cuffs. 100% Polyamide. Lining 100% Polyester.